Bonjour lecteurs! Our weekly dose of fashion is back with a cool label we already featured last year. If you fancy seeing Baba as a chubby baby, make sure to read Baba Fashionista with the Bunting Tree that we published back then. You will be able to see more prints from the cool collection. But for now, we have Baba Fashionista with the Bunting Tree SS18. Not only we will present you with the new range the shop offers but you are also in to win 1 item of your choice from the collection worth up to £25! Happy Sunday Evening! 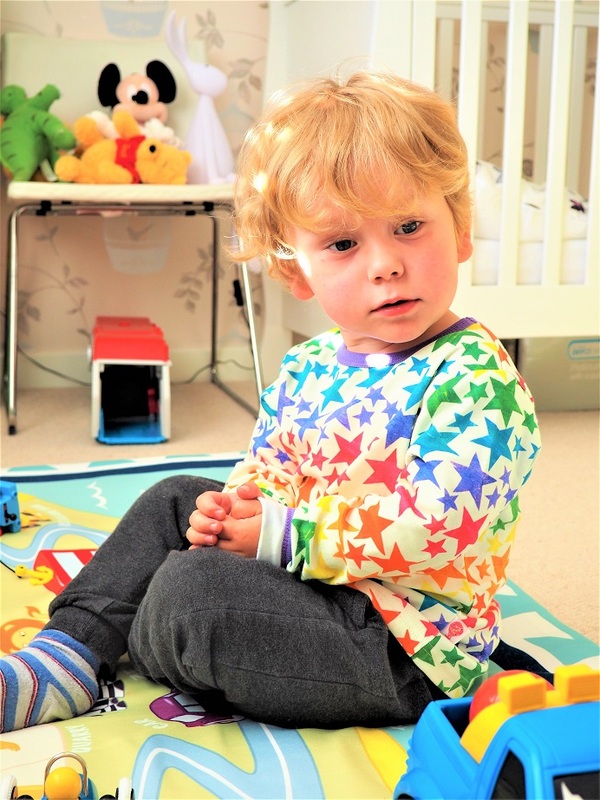 This super colourful shop started in 2014 by a maman, Emma. After her son Jack was born, she began this fabulous adventure. I will certainly not complain about that choice! We love this brand and each item, made in organic cotton is a true piece of art! Each fabric designs is created using painted tissue paper, which is cut into shapes and stuck onto paper to create individual graphics, these graphics are then arranged electronically to create some colourful designs. This is why the garments in this post really look like paintings. Plus it means they are truly unique! But the Bunting Tree is more than a creative shop! It is also very transparent with his customers! Each piece is produced in a family-run business in India within the full certification from The Global Organic Textile Standard (GOTS) which means that the cotton and the whole production of The Bunting Tree garments is organic, and environmentally and socially responsible. How about that? Your little ones can be looking gorgeous but also support businesses! We loved what Emma sent us last year. Time to show you what we got this time and our opinion. The first item we received is super sweet! This print is simply fabuleux for the Summer! We love the fruity theme going on here: bananas, watermelons and pears featured on this top make you feel like you are on holiday right now! We love the fun design as well as the bright colours. Plus the garment is super soft. It truly feels luxurious when you touch it! And his car is matching up with the top! Cool attitude for sure with this piece of clothing. But this Organic Children’s T-Shirt is super fresh and fun! Get some good pics in all angles maman! If you have been reading the Frenchie Mummy for a little bit, you would have noticed by now that we love to stand out of the crowd. Both Baba and I are un peu divas. Who is a star de cinéma? I reckon le Frenchie bébé sees himself as une star de cinéma. Remember last week when I shared with you our adventures at the Eltham Palace and he totally posed for the camera like he was a model? Well, no doubt he is très spécial. So this longed-sleeved version is idéale for Baba. It is a burst of colours with so many stars you can’t count them! What a fun item with some very cute purple collar and cuffs! Plus a great fit for both boys and girls! What is there not to like? When Emma sent us some clothes last year, we absolutely loved them! They were so soft and fun! Plus we got so many nice comments when Baba was wearing them! The new SS18 range did not disappoint us! We equally liked both the items we described here. Both made with super soft and high quality 100% GOTS certified organic cotton, the t-shirts are totally cool! Girls! I am coming all the way for you! The brand has clearly stepped up its game. Last year was full of sweet brollies to celebrate the typical British weather. This year is l’opposé! Bring it on Summer! 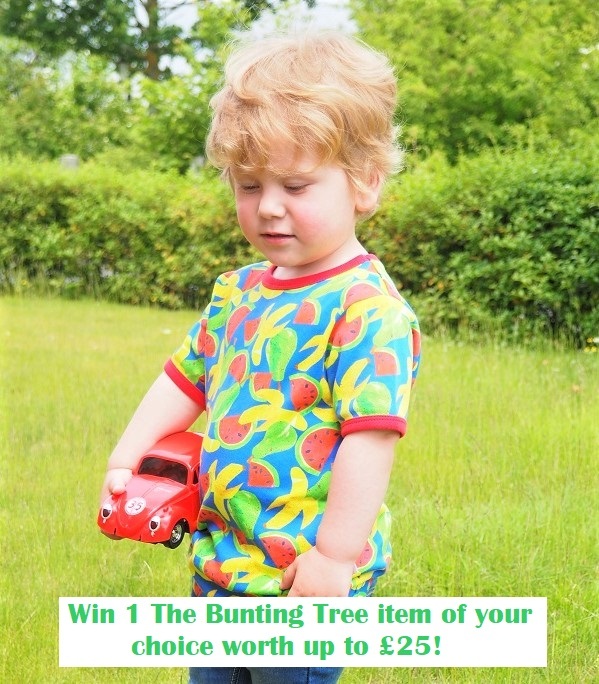 We are ready to rock it with our two cool tops from the Bunting Tree! Both will be packed up for sure when we go to Spain in July! Add up a cool pair of shades and some fancy cap… Get ready Spanish girls! A trendy Baba is on his way and he is going to wow you with bananas and stars! Who fancies a cute item from the collection? It’s happening now via Gleam! This giveaway starts on Sunday 10th June at 6.30 pm and ends at midnight on the 10th July. Provision of the prize is the responsibility of The Bunting Tree. Frenchie Mummy can’t be held responsible. Merci for reading Baba Fashionista with the Bunting Tree SS18. We are so happy to feature such a cool label. Plus super proud to support local businesses run by mamans! Disclosure: We received those tops for free. All opinions remain our own. I love the brollies and blizzards design! They’re all so colourful and eye-catching. I love the Rainbow Stars, my granddaughter would look lovely in it, thanks. 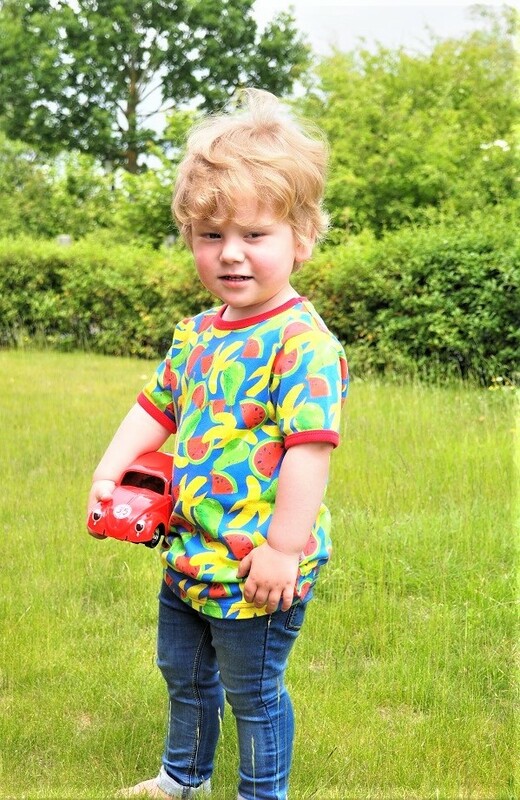 I love the Tutti Frutti – Organic Children’s T-Shirt love bold bright cheery colours and also love fruit! I love the Rainbow Stars design. I love the tutti frutti design…perfect for summer! I like the Stars. The little dresses are so cute. The Rainbow Stars is my favourite, very colourful! 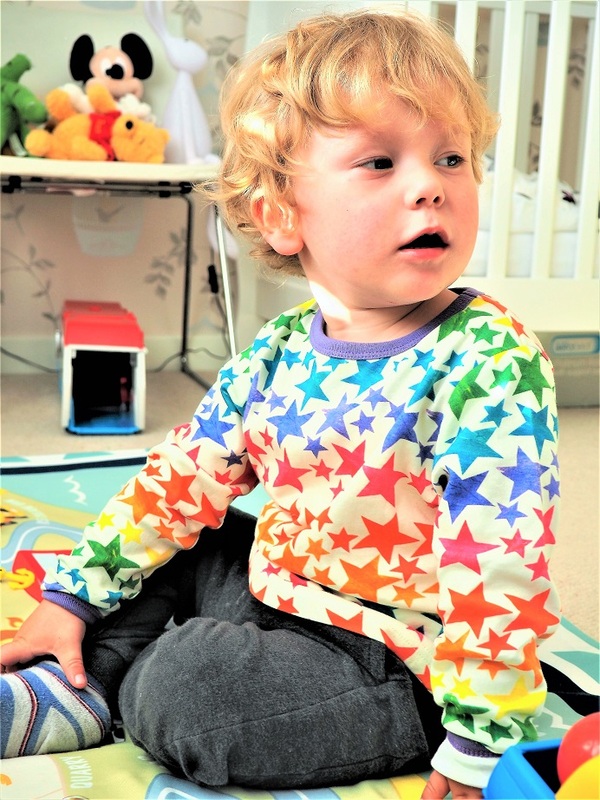 Love the rainbow stars, perfect unisex top for hand me downs too! The stars are super cute! The watermelon and banana print would look so cute on my nephew. I love the brollies and blizzards print, as do a lot of people as it is sold out. I like the British summertime print. I love the idea of unisex clothing too. The Brollies and Blizzards print. My fave design is definitely the vibrant and colourful rainbow stars. So lovely! The rainbow stars are absolutely lovely! Love the rainbow stars, so fun! Its a tricky decision, but I think I like the stars best! 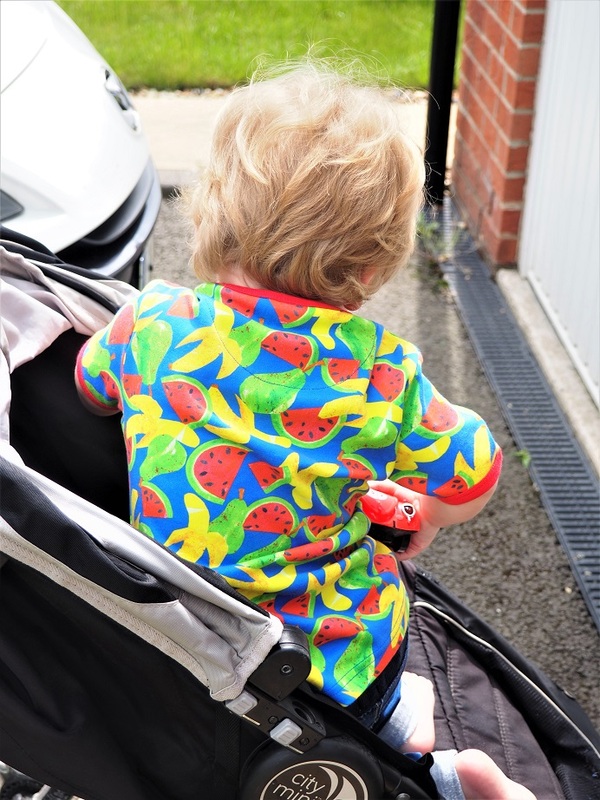 The tutti frutti print is fantastic! I adore the stars! So retro looking! I love the rainbow stars. It would be perfect for my daughter. The stars are so much fun. I like The Rainbow Stars one. Brollies and blizzards is lovely! They are all great but I really love the star print. I absolutely love them all, but Brollies and Blizzards has got to be my favourite! I love the Rainbow Stars! the brollies and blizzards design! 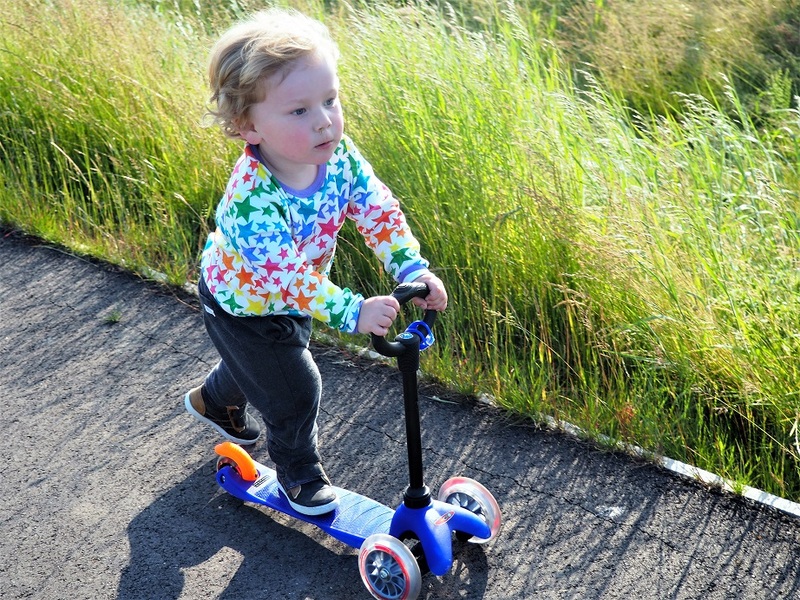 Previous Previous post: Living Arrows 24/53 – Scooting!